Docker swarm is (aka Docker engine in swarm mode) a native clustering solution that makes a group of Docker hosts into a single logical virtual server. Swarm ensures availability and high performance of your application by distributing it over the number of Docker hosts inside a cluster. Also, with Docker swarm, you can scale your application horizontally, i.e., increasing number of container instance for the same application. 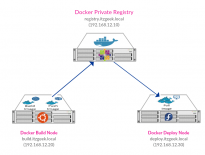 dockerm.itgeek.local 192.168.12.10 CentOS 7 Acts as a Docker manager who manages Docker engine running on nodes. Docker manager will also take a part of a cluster ie, It will run containers as well. Docker swarm was previously a separate tool. It is now integrated with Docker engine from v 1.12. So, you can just install Docker engine on all of your hosts (Manager and Worker Nodes). You would need to open following ports on the firewall for a swarm cluster to work properly. 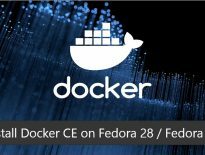 Restart the Docker engine after you have opened up the required ports as the firewall chain does affect the docker rules. Here onwards, all the commands mentioned are universal docker commands so you can execute the command on any operating system that Docker supports (In our case, CentOS 7, Ubuntu 16.04, and Fedora 26/25). Let’s initiate a cluster creation using “swarm init“. Run the following command on your manager node (dockerm.itzgeek.local). –advertise-addr option specifies the manager node to publish its address as 192.168.12.10 so that worker node can join the cluster. Swarm initialized: current node (uhh38rpazd5tnzjph2g5rhgxy) is now a manager. The above output has the token to add worker nodes to the cluster. View the current status of the swarm using the following command. You can list down the Docker nodes in the swarm with the following command.